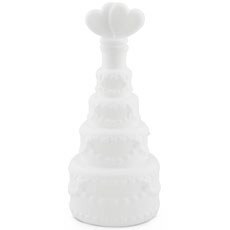 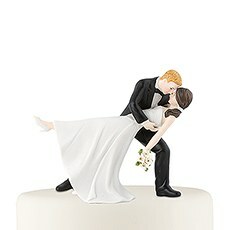 The Knot Shop's hand-painted porcelain "The Look of Love" Cake Topper is an excellent way to show your love for one another on your special day. 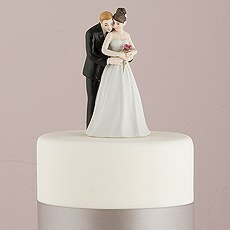 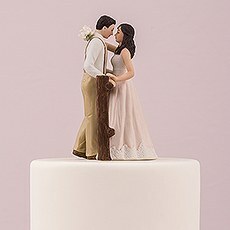 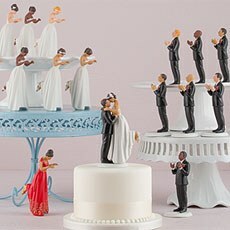 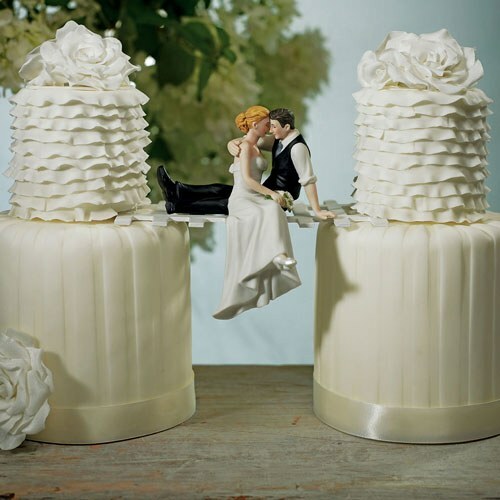 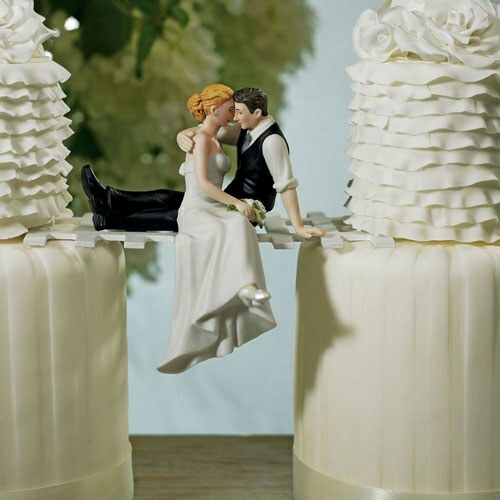 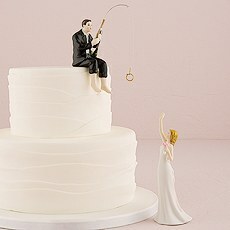 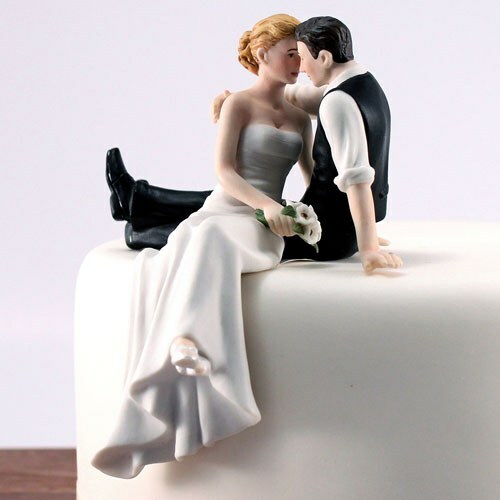 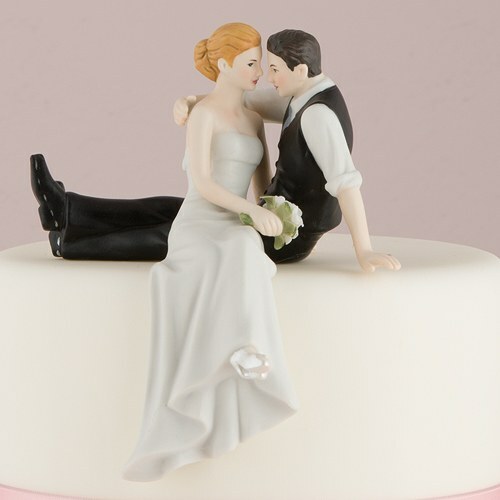 This unique topper features bride and groom statues sneaking a kiss, with the bride's legs positioned in a dangling position so they can be set at the edge of the cake for a cool finish. 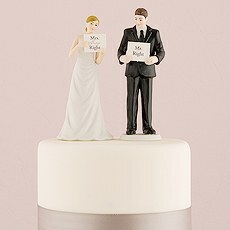 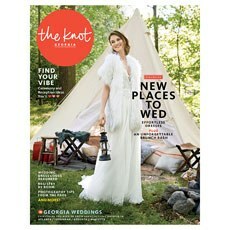 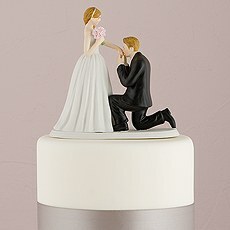 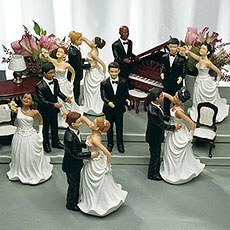 You can custom-order your bride and groom figurines to match your look with the skin and hair colors of your choice. 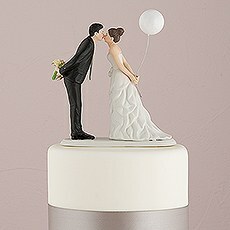 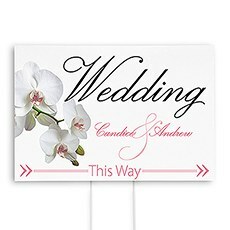 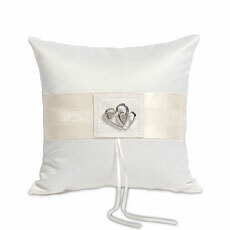 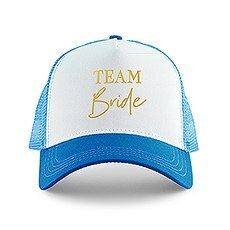 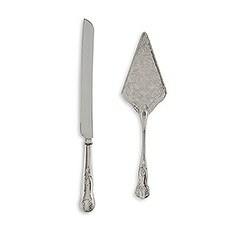 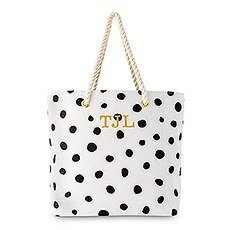 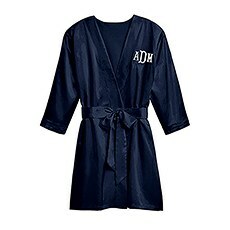 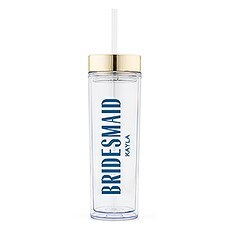 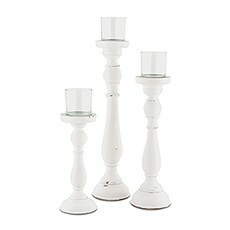 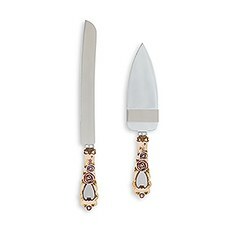 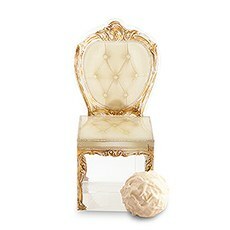 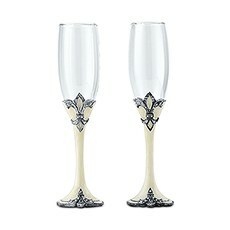 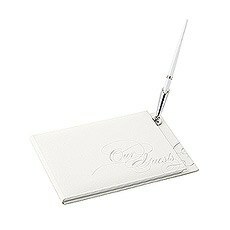 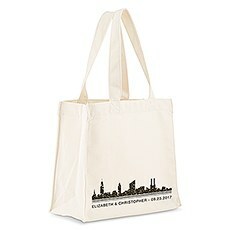 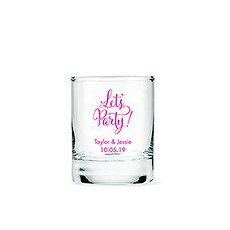 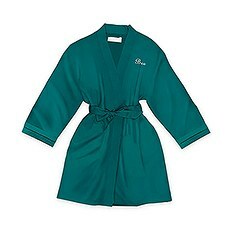 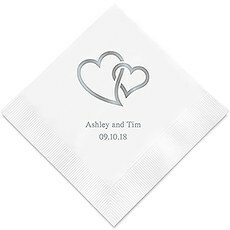 Because they're made of high-quality porcelain, you'll be able to save them after the wedding for a special keepsake. 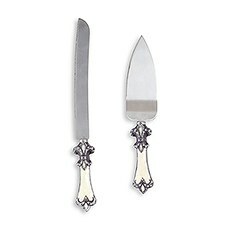 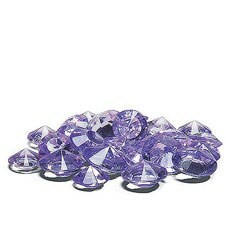 Front to back approx 3" and left to right 4"